From North Korea to South Sudan to East Ukraine, countless complex problems are cropping up all around the world today. So why aren't policymakers more receptive to ideas from international scholars who study those very problems? In an example torn from today's headlines -- the need for a strategy to combat the terrorist group Islamic State in Iraq and Syria (ISIS) -- officials and terrorism experts disagree on the seriousness of the threat and how to respond, with no clear sign of collaboration between the two groups. This is just one missed opportunity among many cases where sound academic ideas fail to inspire political action. Carnegie Corporation of New York has long been committed to hunting for solutions to this divide between the worlds of academia and policy. Here, Stephen Del Rosso, International Peace and Security program director, explains why the Corporation has launched a major new $5 million bridging-the-gap initiative. What Is the Gap and Why Does it Matter? Alexander George, the late, much-revered scholar of international affairs at Stanford University and a member of the Carnegie Commission on Preventing Deadly Conflict, coined the phrase "bridging the gap" in the early 1990s to refer to the widespread sense of the declining practical relevance of academic research as a guide to policymakers and, more broadly, as part of the public discourse on global affairs. There are myriad reasons for that gap. In a nutshell, academic writing has been seen, especially of late, as providing increasingly precise answers to increasingly irrelevant questions. And that trend has led to academic writing that is not only largely unintelligible to nonacademics, but also, in the words of one commentator, "aesthetically offensive." So the question we must ask is, how useful is academic research in areas of national security and international relations to policymakers? If the answer is "not very," what can we do to fix it? To be clear, everything we do in Carnegie Corporation's International Peace and Security Program--from our nuclear work, to our work on China and Russia, to African peacebuilding--relates to this bridging-the-gap theme. Over the past several years, we have supported projects that have approached this ongoing challenge from various angles. But the fact remains, academic research only rarely translates into policy; it's a nonlinear path between idea and action, and many factors enter into the equation. For one, as University of Southern California scholars Abraham Lowenthal and Mariano Bertucci point out in their new book, Scholars, Policymakers, and International Affairs: Finding Common Cause, having academic research influence policymaking is no guarantee that the policy will be sound, or that it will work in practice. In fact, throughout history there have been a number of cases in which academic research has had what could be considered a pernicious effect, from racist immigration policies between 1935 and the early 1960s, to the conduct of the Vietnam War, to the socially regressive structural adjustment policies of the early 1980s, and more recently to some of the austerity measures that have had mixed success in restoring economic stability in Europe, the United States, and elsewhere. But we do believe, that ultimately, the balance is more positive than negative. We also believe that the gap between the academy and the policy world is bridgeable. And we believe we can help construct that bridge, which will contribute not only to better policy but to better teaching and research. Additionally, good policy is informed by good ideas, and good ideas are not formed in a vacuum. 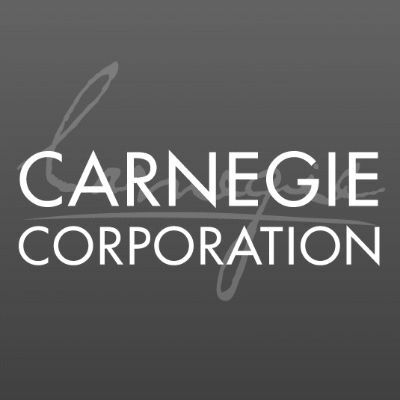 At Carnegie Corporation we turn to the academic community for the generation of those ideas. It's particularly important at this moment in philanthropy because a number of our peer organizations have deemphasized the role of academic research in their work in favor of advocacy. But we believe that before we get the message out, we have to get the message right. And we turn toward the academics as generators of that insight. Bridging the gap has a long legacy at the Corporation; it's in our DNA. Andrew Carnegie was an inveterate bridge builder--he believed in the power of ideas to promote socially positive activities, and arguably the biggest idea he had was to abolish war. He established the Carnegie Endowment for International Peace, the Peace Palace in The Hague, and other institutions to try to prevent wars and mitigate their worst effects. A very interesting and not very well-known piece of evidence about our early involvement in bridging the gap is a report by the American Political Science Association of a grant that was given by Frederick Keppel, president of the Corporation from 1923 to 1941. In 1927 Keppel made this grant of $7,500 to create something called the Committee on Policy for the purpose of bringing together what he called academic political scientists with those involved in the operation of government. President Keppel felt that both sides could learn from each other. That grant was renewed in 1930 for $67,500 (real money in those days) and there were 49 meetings held under the chairmanship of Harold Dodds, who later became president of Princeton University. In President Dodds's judgment, this undertaking had inestimable value both to the academics and to the policymakers at that time. What are the distinctions between the two cultures of the academy and the policy world that Alexander George described three decades ago? According to Lowenthal and Bertucci, building on work by other scholars, such as Harvard University's Stephen Walt, the role of the academic is to analyze and reflect in order to understand and explain. The role of the policymaker is to act, to promote positive policy outcomes, and to prevent negative outcomes. The academic takes time to develop his or her research and conduct it; the policymaker needs rapid responses to unfolding events. The academic values methodological rigor, nuance, contingency; the policymaker wants straightforward, clear, concise answers to complex questions. Academics zealously guard their independence and intellectual freedom. There are, in fact, norms such as peer review designed to protect that freedom. They see this as an essential part of their identity, and they are less likely, I would argue, to trim their sails to the political winds, or to self-censor their opinions because they're seeking an appointment in the next administration. That is one distinction I would draw between academics and some think tank experts--even some we support. In government, one is subject to political and bureaucratic expediency. As Lowenthal and Bertucci further point out, the aim of an academic is also to produce original ideas, which involve intellectual property rights. In contrast, a government policymaker draws on, synthesizes, and integrates information from multiple sources--usually without attribution. And finally, most academics toil alone. They seek individual recognition. Their professional advancement is based mainly on writing intended for other specialists, in jargon only other specialists are likely to understand, and the citations based on that writing. For the policymaker, professional advancement is based largely on political and administrative skills, the ability to manage interpersonal relations, maneuver within a bureaucratic hierarchy, build support for a political position, and engage and persuade the decision maker up the hierarchy. Clearly, these are two different cultures, but we contend that they are complementary. We see them as mutually supportive and believe there can be a bridge to a positive outcome. When there was something called the Arab Spring, the 100 Islam-focused Carnegie Scholars we supported suddenly became the intellectual group the media turned to in order to analyze what was going on in that part of the world. There are two essential contributions academics make in the policy realm. One is the ability of academics to develop new frameworks and concepts that help policymakers think about and understand problems--what University of Ottawa scholar and former Corporation grantee, Roland Paris, calls "ordering the world." Such notions as human security, women in development, fragile states, and responsibility to protect are all concepts based on academic research that have percolated within the policy realm. Most important, and possibly most underappreciated, is the ability and role of academics to prepare the terrain for future consideration of policy options--what I would call loosening the intellectual bolts on issues that are not quite ready for public consideration. A classic example initiated by a Carnegie Corporation grant is Gunnar Myrdal's famous book An American Dilemma, published in 1944, which languished on the shelf until it was pulled down in 1954 and became the intellectual foundation for the Supreme Court's Brown v. Board of Education decision. More recently, when there was something called the Arab Spring, the 100 Islam-focused Carnegie Scholars we supported suddenly became the intellectual group the media turned to in order to analyze what was going on in that part of the world. One more major challenge facing both policymakers and academics is the increasing specialization in the world. To quote someone closely associated with the Corporation, "Knowledge has become so varied, so extensive, so minute, that no individual can master any more than just one branch." That was said by Andrew Carnegie in 1902. One can only imagine what he would say in 2014! 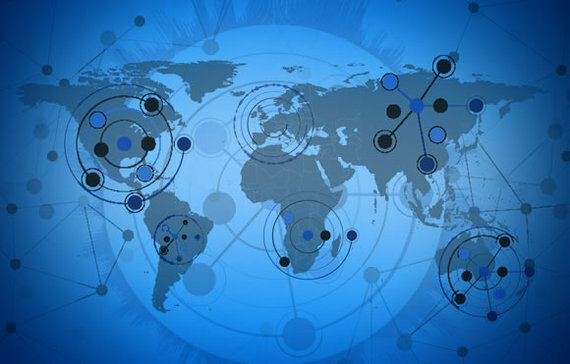 To quote Carlos Fuentes, the great Mexican novelist, "One of the greatest challenges facing modern civilization is translating information into knowledge." The additional challenge today is translating that knowledge into understanding, insight, and wisdom that can be used by policymakers. At the end of the day, that's the essence of our work in bridging the gap. Philanthropic foundation focused on Andrew Carnegie's priorities: international peace, the advancement of education and knowledge, and the strength of our democracy.